Israeli Prime Minister Benjamin Netanyahu, struggling to keep his majority together and fighting off corruption allegations, has decided to dramatically shorten the timetable for his country’s elections. 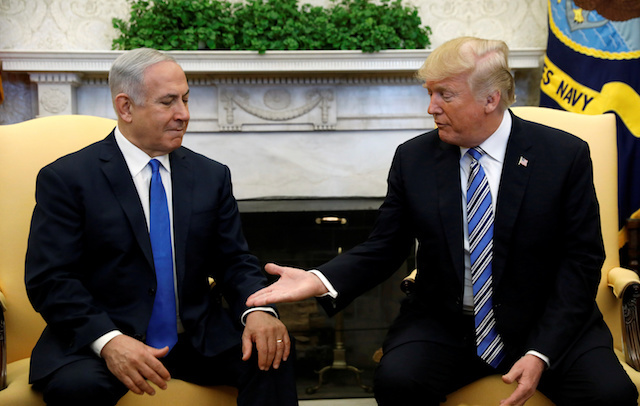 Netanyahu and other coalition leaders opted Monday to hold a general election in April 2019 — an election that was originally set for November 2019. Their decision comes as the attorney general is mulling whether to indict Netanyahu on three separate bribery charges. Charges against the prime minister is expected in the next several months, but the early elections could influence the attorney general’s timing. Netanyahu — who has been a mainstay in Israeli politics for decades — is battling bribery charges that could potentially bring an end to his career. Israeli police recommended in February two different bribery charges. One case involves the conservative leader allegedly accepting “gifts” worth $200,000 from businessmen in exchange for bolstering their interests. The other case involves the prime minister and the publisher of the country’s biggest newspaper. However, it’s the third and most recent corruption case that is believed to be the most damaging to Netanyahu’s career. The prime minister allegedly gave communication mogul Shaul Elovitch regulatory benefits worth in the range of hundreds of millions of dollars. The alleged deal, which involves Netanyahu’s wife, allowed the prime minister to demand glowing coverage from a major Israeli news site owned by Elovitz. Netanyahu — leader of the conservative Likud party — is at the same time struggling to keep together his coalition’s one-seat majority in the Knesset, Israel’s parliament. The prime minster’s coalition was left with just a one-sea majority in November after Defense Minister Avigdor Lieberman resigned in protest over a Gaza ceasefire deal. The razor-thin majority has made it difficult for the Israeli leader to legislate, this becoming evident after his coalition failed to pass a controversial bill that called for ultra-Orthodox Jews to serve in the military. However, not everything appears bleak for the conservative leader of Israel. The new elections are expected to be held on April 9.